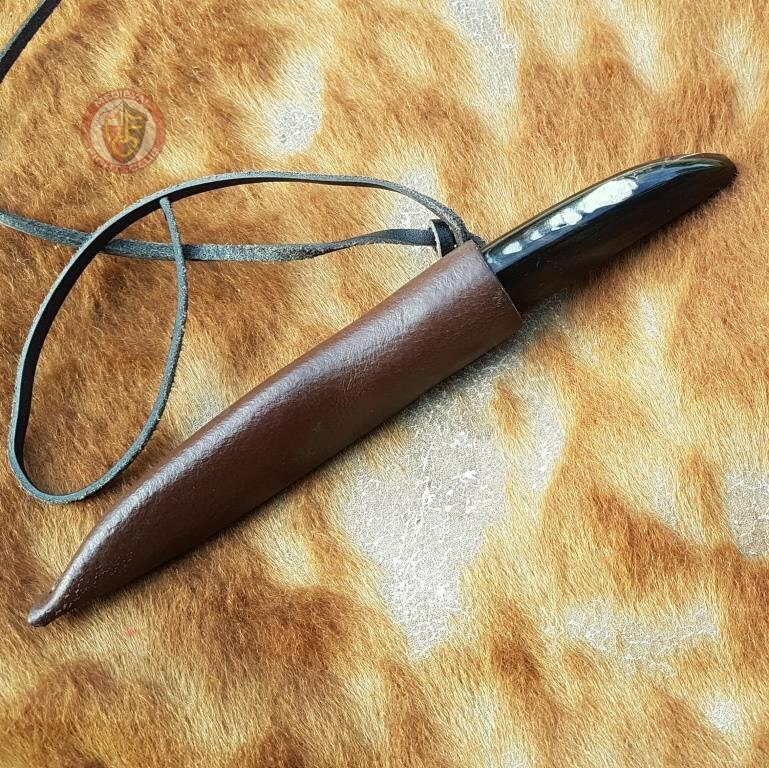 Hand forged Saxon utility knife (Kurzsax) and hand made leather sheath. 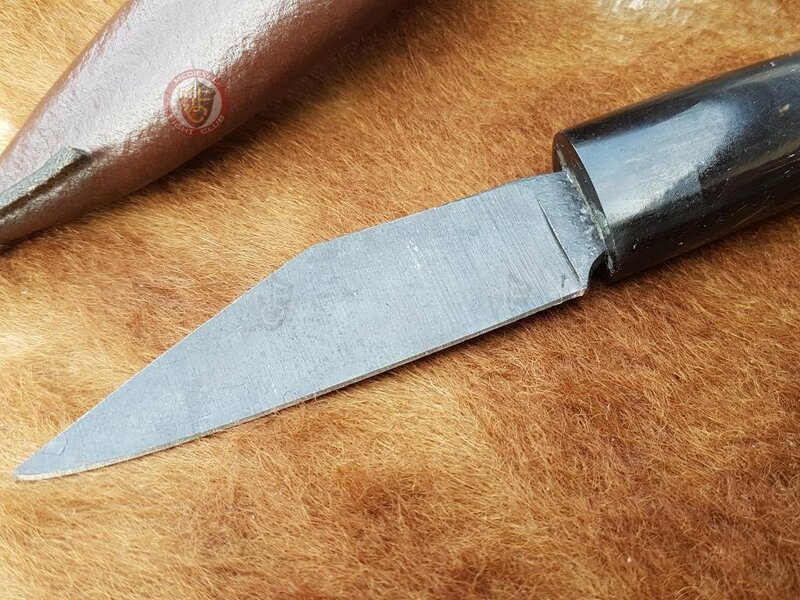 Every seax is handmade so slight variations in size and shape can occur. A typical form of the seax is the so-called broken-back style seax. These seaxes have a sharp angled transition between the back section of the blade and the point, the latter generally forming 1/3 to 3/5 of the blade length. These seaxes exist both in long seax variety (edge and back parallel) and in smaller blades of various lengths (blade expanding first, then narrowing towards the tip after the kink). They occurred mostly in the UK and Ireland, with some examples in Germany around 8th-11th century. 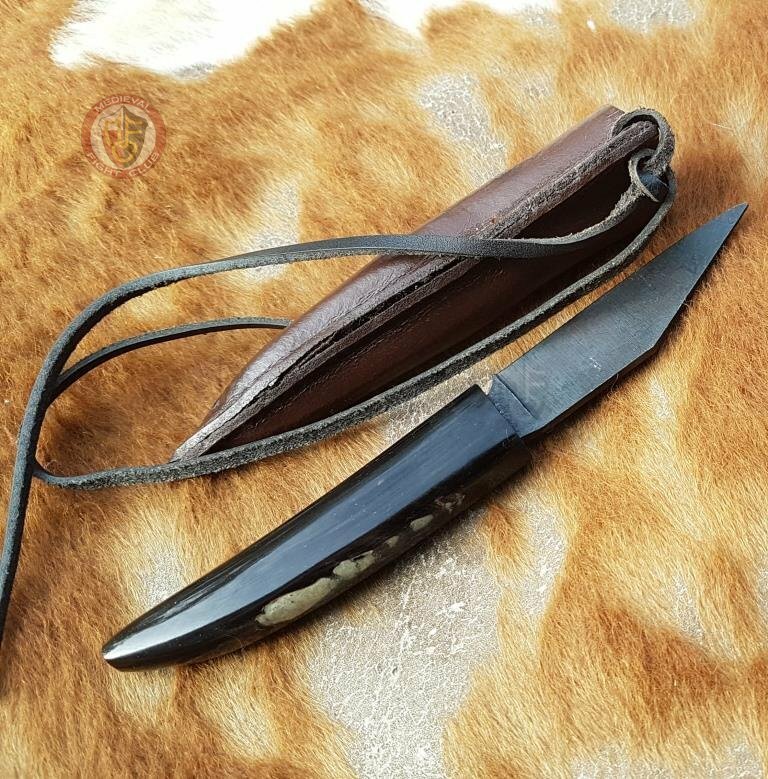 A seax in modern times is often called scramasax or scramaseax, from scrama "wound" (cf. German Schramme "scratch", Dutch schram "scratch") and sax (cf. German Sahs "dagger"). 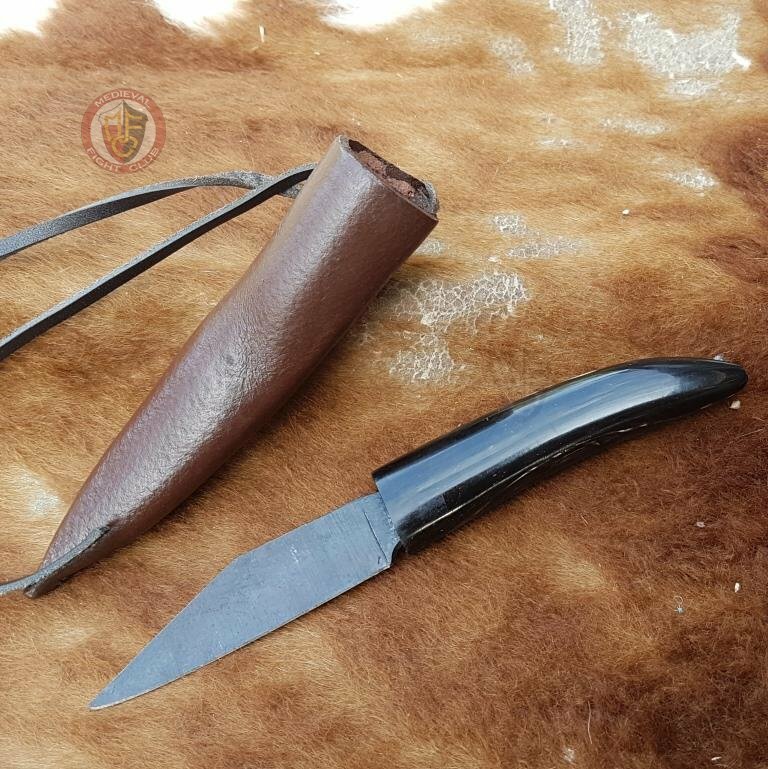 However, as the word scramasaxi is only used once in early medieval literature (in Gregory of Tours' History of the Franks), the general use of the term when referring to all short knives of this type is erroneous. The Saxons may have derived their name from seax (the implement for which they were known). The seax has a lasting symbolic impact in the English counties of Essex and Middlesex, which both feature three seaxes in their ceremonial emblem.